Poisoned Pen Press, 9781464200793, 283pp. Janet Hubbard works as a writer and editor in Fayston, Vermont, and teaches fiction writing at the University of Vermont. 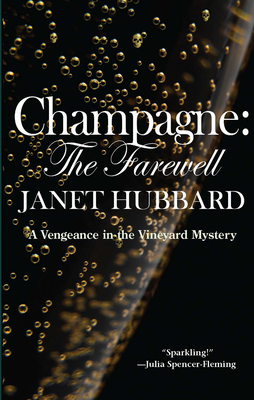 This series is the result of annual trips to France over a twenty-year span to visit French friends, and a love of wine and the wine culture that led to extensive stays in some of the wine districts, including Champagne and Bordeaux.